This special edition is an ideal gift for Mother’s Day or any time. 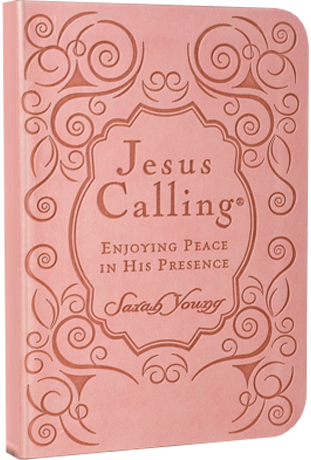 The #1 bestselling 365-day devotional Jesus Calling has impacted over 25 million lives with words of encouragement, comfort, and reassurance of Jesus’ unending love. A beautifully debossed pink leathersoft cover with room for personalization makes this edition perfect for Mother’s Day, or any occasion to celebrate a special lady in your life. The pink edition is also used by various cancer support groups.